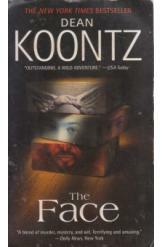 The Face by Dean Koontz, Sci Fi. Book is in good condition, all pages intact. A Hollywood star is under seige by a relentless and murderous stalker who no amount of security seems able to deter. His last option is to turn to a mysterious ex-cop with a supernatural secret.